Whether you’re ready or not, Christmas is fast approaching, and accompanying the festive season comes a whole host of traditional activities to partake in. For me, as a true theatre fanatic, Christmas wouldn’t be Christmas without the annual pantomime – ‘oh no it wouldn’t!’ (Sorry.) This most glorious of festive traditions can be found in theatres up and down the country, filled to the brim with questionable ‘celebrities’ and massacred pop songs. Reading that description alone, you may ask, ‘Why, oh why would you ever want to go and see a pantomime then?’ The answer is quite simple: because I’m British. Pantomimes are one of the most British things we have ever produced as a nation, bewildering other countries as to why we endure this year after year. We have great fun watching a man dressed up in dubious drag, listening to cringeworthy jokes regarding current affairs, and, of course, shouting such phrases as ‘it’s behind you’ and ‘oh yes, it is/oh no it isn’t’ with boundless enthusiasm. Not to mention, pantomimes are usually based on classic fairy-tales, which for some reason we don’t mind seeing over and over, year upon year in a never-ending cycle. Nonetheless, there is an element of taste in the pantomime world, and the trick is working out which ones are the best. Having been to see the pantomime every year at the same theatre for nearly 19 years, with a couple at other theatres sprinkled in alongside for good measure, I consider myself to be something of an expert in this field. Allow me to be your guide as you journey into finding the right panto for you. Let’s start with the average pantomime, which can be found pretty much everywhere. Staged by companies which have been running pantomimes for years, these are typically found in local theatres, featuring a handful of famous faces combined with some recent drama school graduates, not forgetting the chorus of local children of course. In my opinion, these pantomimes are usually fairly tasteless, but this does not mean they are not worth going to. If you are looking for a cheery way to spend a couple of hours, these can be a good laugh. One rank higher, you have the pantomimes staged by regional theatres, using the same in-house production team year in year out. These tend to be a little classier than the previous breed, putting more detail into costumes and sets, avoiding celebrity castings in favour of trained actors (who, let’s face it, will deliver a better performance than that X Factor contestant from ten years ago), and giving the audience a good old traditional panto. This is the kind of pantomime I make the pilgrimage to every year, in my case journeying to Salisbury, and I cannot recommend it enough. If you are looking for something a little less cringe-inducing, but still filled with all the key pantomime ingredients, then this is the type for you. If you wish to splash out and go somewhere even more high-class, then the London Palladium is your destination. With pantomimes dating as far back as 1911, the Palladium Pantomime returned in 2016, and for each of those three years since it has starred genuine celebrities and talented actors from the theatre world, and has gone above and beyond in the extravagance of their sets and costumes. This really is the pantomime that all others aspire to be. 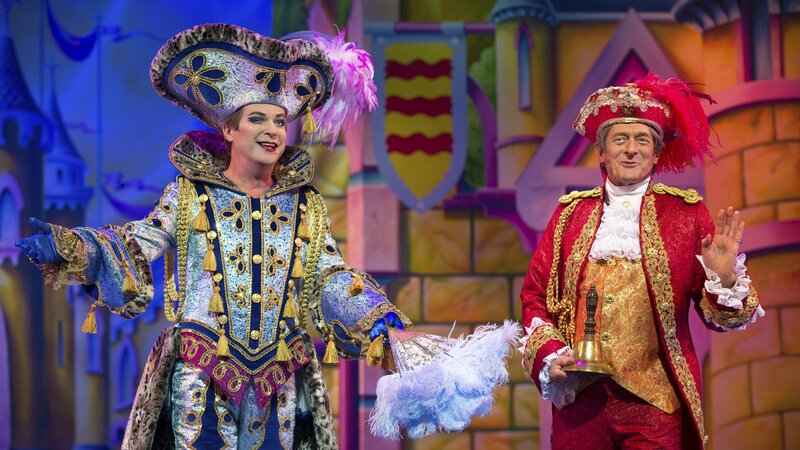 However, regardless of whether you are watching Julian Clary at the Palladium or Joe McElderry at your local theatre, any pantomime strives to deliver a feel-good performance, perfect for putting you in a Christmassy mood.